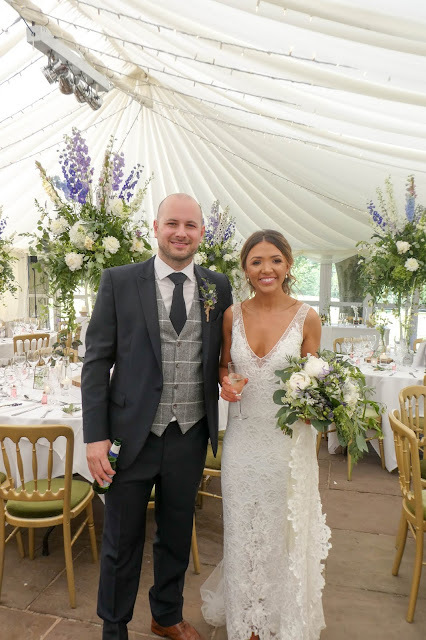 These two are such a fabulous couple, their mood board was one of the best ever with really clear information, painting a picture of how they wanted their day to look.... Lots of sparkle, frosty branches, Pearls & Diamantes, Classic white and Ivory seasonal flowers. Louisa's Winter Frost wedding bouquet of Phalaenopsis Orchids, Lily of the Valley, White Nerines, Christmas Roses and fragrant winter evergreens, the additional detail of silver Birch, strands of Pearls and diamantes created a truly magical Winter Wedding Bouquet. 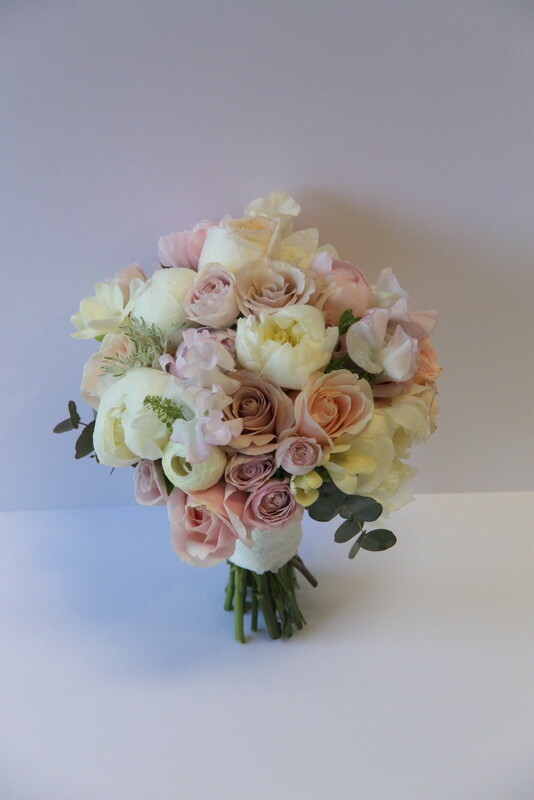 At Louisa's home we presented her bridal bouquet whilst her brilliant Mum was fastening up her glorious gown. The Great Hall at Mains looked as magical as ever! The all white winter wedding bouquet of Roses and orchids with jewels and pearls was heavenly! This was such a fabulous "Winter Wonderland Wedding" and we had great fun creating the designs and working with Louisa & David!!! Jane and The Flower Design Team were truly amazing. From our first meeting to Jane bring me my bouquet the morning of our wedding. When I arrived at the Hall my heart fluttered, Jane had made my winter wonderland theme become real. Stunning, stunning , stunning! 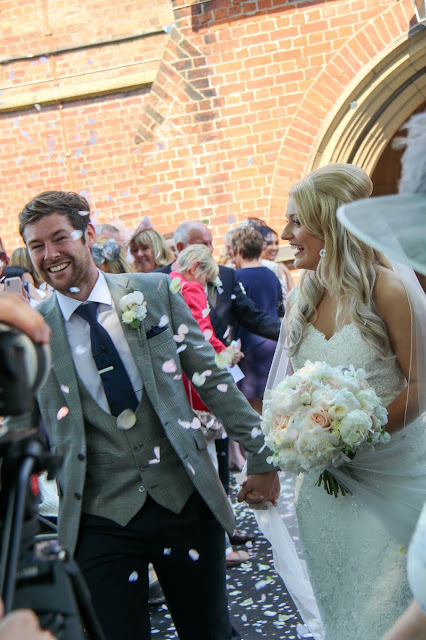 Everything...from the venue ( of course), the amazing floral displays, the beautiful bride ( Louisa you looked fabulous! )and the warm candlit wedding breakfast. One of my favourites Jane !